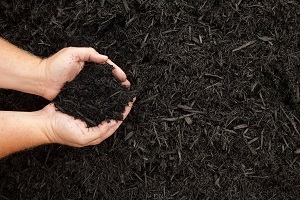 Before getting started, you need to decide where you will start mulching. Spring and summer are both a fantastic time of the year to get more active outside. Besides, you’ll feel inspired to work on your landscape and encourage new growth from plants that you nurtured last year and some newcomers that you only just started working with a few weeks ago. Here are some pointers for mulching in your Baltimore County yard this summer. Before getting started, you need to decide where you will start mulching. After all, you won’t necessarily need to put mulch on every square inch of your Baltimore County lawn unless it is already close to being overrun by weeds. Flowers, trees, and shrubs all benefit from some mulching, but this shouldn’t mean you ignore your hardscaping features, such as garden paths and walkways. Next, you must figure out what type of mulch you would like to use. Luckily, here at Lehnhoff Supply, we can provide you with almost any kind of mulch you can imagine. Mulching is an exhausting job, so don’t hesitate to call us for some professional assistance. We can also haul away any leftover mulch that remains once you’re done and would prefer not to hold onto until the next mulching season. Before you can start mulching anywhere in your Baltimore County landscape, you’ve got to clear out enough space to move around and work. If your lawnmower has been sitting in your garage untouched for the past few weeks, then it’s time to mow your lawn. Use a hedge trimmer to open up some room by your shrubs and trees. That said, the hedge trimmer won’t be the only tool you will need. Finally, you can collect your other tools. Working with mulch is messy, so be sure to put on thick enough gloves before you get started. Wheelbarrows and shovels will also help make the work much easier, although if you prefer, you can get out a pitchfork instead. Trust Lehnhoff’s Supply and Design for All Your Outdoor Lighting Needs! This entry was posted on Friday, June 29th, 2018 at 8:27 am. Both comments and pings are currently closed.